Mr. Porter releases yet another fantastic short film, this time featuring Elijah Wood as an uninspired desk-jockey. 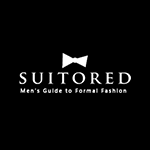 The film, directed by Blair Getz Mezibov, does a fantastic job of showcasing Mr. Porter’s high-end sartorial wares through an intriguing narrative. Check it out. Directed by Michael Bonfiglio, ‘Visionaries’ follows the life & work of iconic designer Tom Ford. The full-length documentary feature will air on the OWN network tomorrow Sunday, October 23rd at 8pm EST.